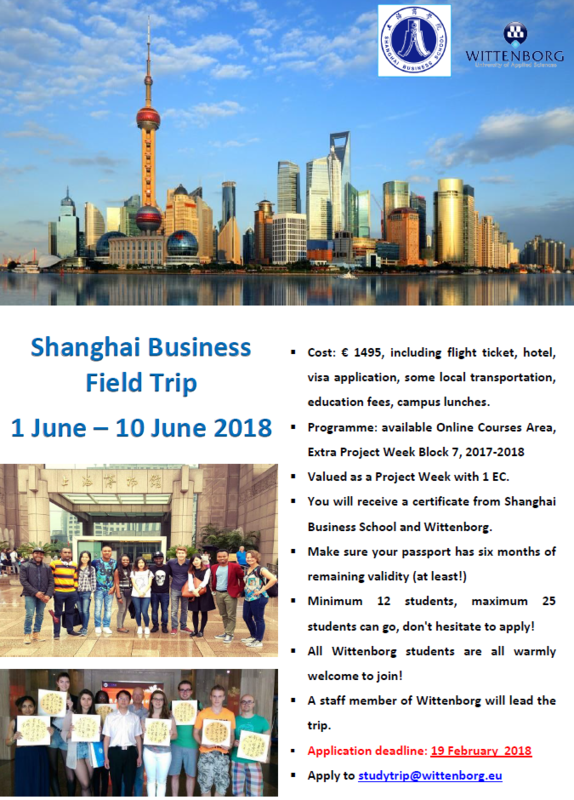 Wittenborg’s annual student trip to China’s biggest city, Shanghai, will take place from 1 – 10 June, 2018. Registration for students who want to come along has just been opened. Meanwhile, we spoke to Nigerian student Mukadas Kolawole Alashe, who made the trip in 2016, and had a whale of a time. Why did you want to do the trip? China is a global powerhouse when it comes to economics. As a business student I found it important to see the city for myself. In terms of production you cannot exclude China from the conversation. 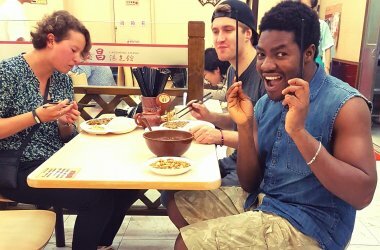 What was the best thing about the trip to Shanghai? The food! Everything is really freshly prepared. If you want something, whether it’s still crawling around or not, you just point to it and they will prepare it for you on the spot. I loved the seafood. What did you do during the 10 days? There were so many activities. We visited really big companies and learned so much about doing business in China. We also spent days at the campus of Wittenborg’s partner, the Shanghai Business School, and experienced the life of a student in China. Last but not least, we visited many of the tourist attractions that Shanghai is famous for. It looked like you were really popular with the locals. What are the people like? Everyone is really friendly, although many cannot speak English. The students were all assigned families and they treated us like a member of the family. I think I took to Eastern culture easily because I studied in Malaysia before coming to the Netherlands, and of course Wittenborg is an international university of applied sciences with many Chinese students. *Students who want join the trip can apply to studytrip@wittenborg.eu. The deadline for applications is 19 February 2018.